For us that means we find relevant opportunities to strengthen our community, grow our culture of diversity, equity and inclusion, invest in the health and wellbeing of our people and improve our relationship with the environment. We find opportunities to positively contribute to the communities in which we work. Our contribution to the communities in which we work is an important element of our CSR program. Our Community Contribution program aims to promote and facilitate voluntary participation in a range of initiatives to positively benefit the health and wellbeing of the communities in which we work. We gift-match the monetary charitable donations made by our people towards the initiatives and events on our annual Community Contribution Program. Develop initiatives that drive our commitment to being a diverse and inclusive organisation. The POF Group is a signatory to the Diversity and Equality Charter, a Law Council of Australia initiative. We are committed to promoting diversity, equality, respect and inclusion consistent with the principles of justice, integrity, equity and the pursuit of excellence upon which the profession is founded. We recognise that diversity benefits the legal profession and the community as a whole. Provide our people with access to services, programs and activities that promote a culture of physical and mental health and well-being. Health and wellbeing is our physical, mental and social health, which when combined with a balanced lifestyle, enables us be at our best. Our Health & Wellbeing Program has been designed to increase staff member awareness of the concept of health and wellbeing, including its relationship to and impact on their careers and lives. The program also promotes and facilitates voluntary access to a range of diverse strategies, activities, services and resources that enables increased opportunities for our people to improve their health and wellbeing. Operate our business in a way which minimises our impact on the environment, through sustainable practices such as recycling, waste management and reuse of items or materials where practical. Through the development and implementation of our own ICT systems, we operate paperless intellectual property files, resulting in the dramatic reduction of paper consumption and print related consumables. We are committed to driving progress in this area, and aim to continue to reduce our environmental footprint through greater awareness and education. Contribute to improving health and well-being within our community through pro-bono or discounted arrangements with health based organisations. Kidney Health Australia are a not–for-profit organisation dedicated to helping people with kidney disease, with a view to improving their health outcomes and quality of life, and that of their families and carers. Kidney Health Australia promotes good kidney health through delivery of programs in education, advocacy, research and support. 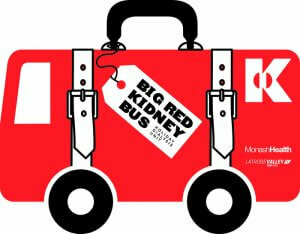 One such program is The Big Red Kidney Bus, providing a mobile dialysis service that allows those who require dialysis the chance to have a holiday whilst still receiving treatment. The Big Red Kidney Bus was awarded the 2015 National Disability Award for Excellence in Community Accessibility, and also won the Gold Innovative Models of Care Award at the 2015 Victorian Public Health Care Awards. The POF Group is proud to support Kidney Health Australia through pro bono IP services for the “Big Red Kidney Bus” program. Pride Cup is an organisation that is committed to creating a world where all LGBTI+ people feel included and accepted. It began as a powerful gesture of mateship in a country footy club and has grown into a national movement for change. A local football club came up with the idea to stage a Pride Cup, with players wearing rainbow jumpers and lines painted in rainbow colours to support the LGBTI+ community. It led to the annual AFL Pride Game, and has now spread across Australia and expanded into other sporting codes. The POF Group is proud to support this great cause through pro bono IP services in order to facilitate their expansion plans.